Pudong New Area was named after its location - it is near the east bank of Pudong River. The old Chinese culture and history collides with the new western fashion in the area. Numerous old buildings and the latest high-tech theme parks with plenty of high-rise buildings. With the development of the economy and the society, Pudong New Area is attracting more and more tourists and investors from home and abroad. You will experience the local life, the newest science and wonderful nightlife in the area. Regarding the cultural spots, Pudong New Area offers various kinds of buildings to explore, such as Laobaoshan City built in 1397, Bund International Architecture Exhibition, old temples (Fuquan Temple originally built in 1342), old nunneries, etc. 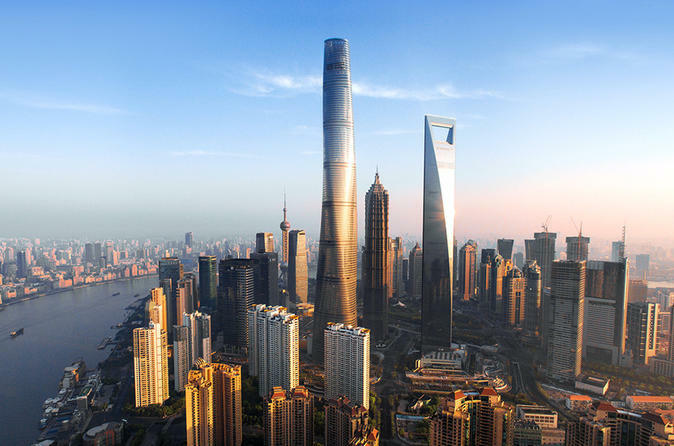 In addition, you will experience the fast growing economy in Pudong New Area through a variety of buildings, including Shanghai Tower, Shanghai Supercomputing Center, Zhangjiang Hi-Tech Park and so on. You also can explore the Shanghai Museum of TCM to discover the mystery of the traditional Chinese medicine, and visit Shanghai Maglev Transportation to know some about the development of maglev trains in Shanghai. The list of the attractions at Pudong New Area is endless. So are the activities you can enjoy at the area. There are many buses and several Metro lines passing by Pudong New Area. Therefore, you have lots of options. Please get ready for your trip to Pudong New Area, check out the weather before you arrive in Shanghai and take proper clothes. Please take care of your belongings when visiting the scenic spots at the area. Please avoid visiting the spots at the area during holidays and at weekend as there can be countless tourists at the spots. Interested in visiting the Pudong New Area on a Tour? Wendy Wei Tours offers a variety of different packaged tours as well as custom tours including the Pudong New Area, among other attractions and destinations. To find out more, please visit our Tours page or Contact Us directly to find out more.